CoHo Ecovillage celebrated National Hanging Out Day (April 19, 2014) with a variety of festive events. 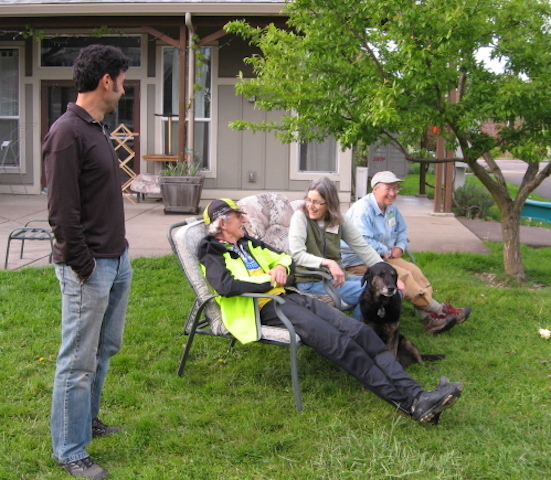 CoHoots at CoHo Ecovillage greeted some special short-term visitors. CoHoots at CoHo Ecovillage celebrated National Hanging Out Day by creating (and recreating) a progressive clothespin sculpture.